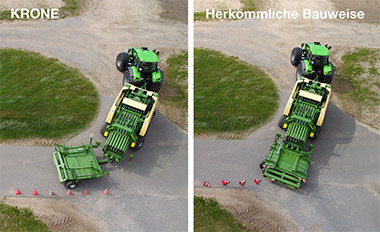 Krone’s BaleCollect will save you time and money! 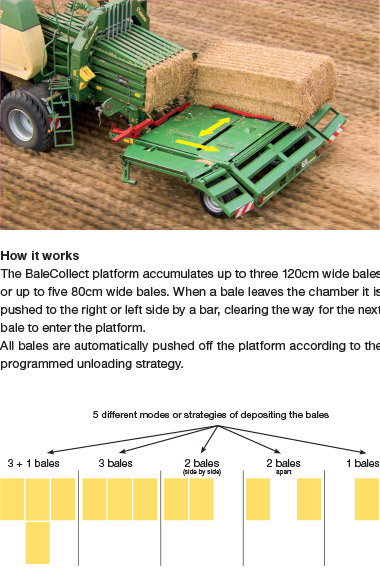 The bale accumulater can collect and store up to 3 bales and offers various patterns of depositing bales in the field. Controlled by either an automatic or manual bale push of function this is perfect for handling and will reduce labour hours. 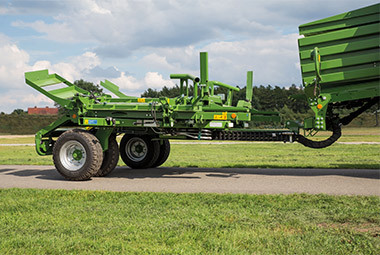 It’s unique telescoping drawbar allows for smooth transport along with a transport mode to travel like a trailer under 3m transport! 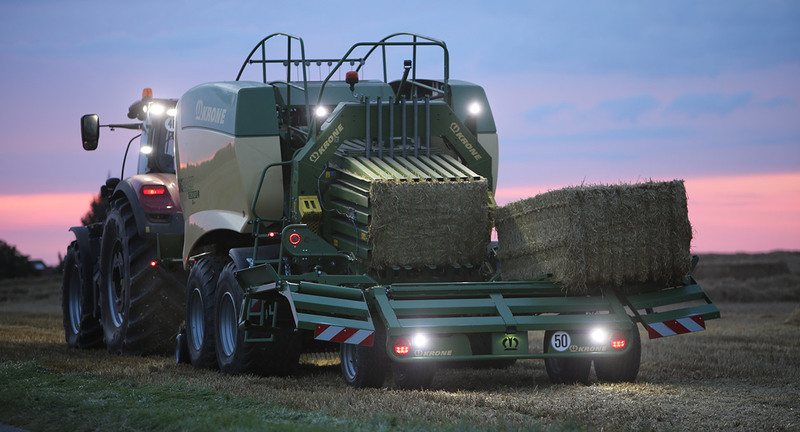 The bale accumulater transport like a trailer for safe transport and can travel at 50km/h under 3m transport.